Muslims Following Jesus? But Which Jesus? 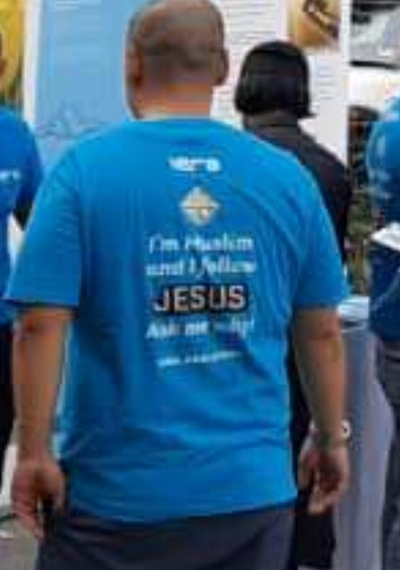 Recently, some Muslims were seen wearing T-shirts bearing an eye-catching caption, “I am a Muslim and I follow Jesus. Ask me why?” There were engaging street dawah near Jalan Bukit Bintang, Kuala Lumpur. 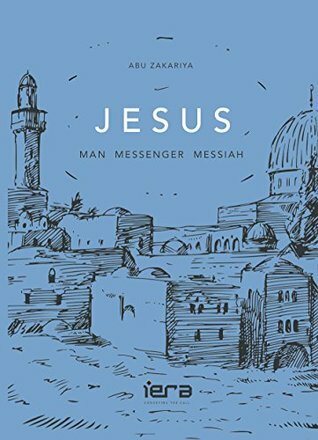 To make good their claim, they handed out Qurans as well as the book, Jesus: Man, Messenger, Messiah written by Abu Zakariya. Author Kam WengPosted on July 16, 2018 August 4, 2018 Categories Christian-Islam Relations, Interfaith Encounters, Islam9 Comments on Muslims Following Jesus? But Which Jesus? 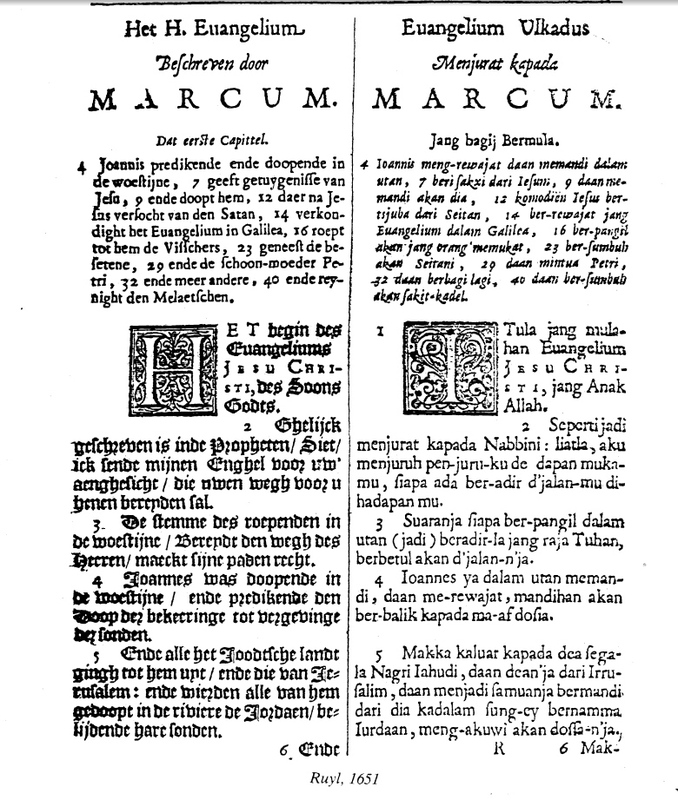 DBP Translating the Malay Bible? CLJ Needs to Get the Historical Facts Right! 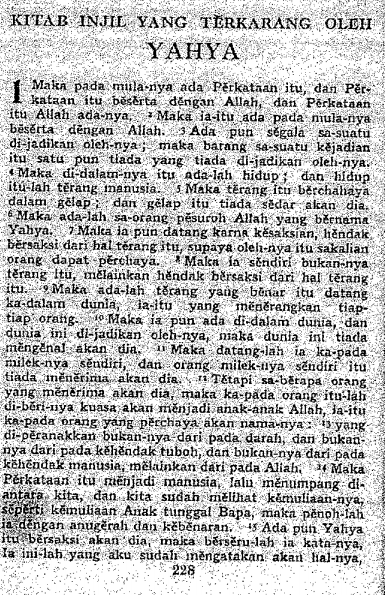 *This article was published originally in The Malaysian Insight (25/11/2017): Translating the Malay Bible: CLJ Needs to Get the Historical Facts Right! Recently, Concerned Lawyers for Justice (CLJ) argued that the Christian community should work closely with Dewan Bahasa & Pustaka (DBP) to correct purported errors in the current translation of the Malay Bible. Suggestions to improve existing translations of the Bible is in line with the ethos of the Christian enterprise of Bible translation which is an ongoing exercise undertaken by Bible societies all over the world. Author Kam WengPosted on November 25, 2017 November 27, 2017 Categories Bible Translation, Christian-Islam Relations, Dialog, Interfaith Encounters, Islam1 Comment on DBP Translating the Malay Bible? CLJ Needs to Get the Historical Facts Right! Prominent lea­ders in Sabah and Sarawak have refuted claims that amendments to the Syariah Courts (Criminal Juris­diction) Act, or RUU355, will not affect non-Malays and Muslims in the two states. Writing in an open letter, they urged the people to preserve the country as a secular state and to reject Datuk Seri Abdul Hadi Awang’s Private Member’s Bill to amend RUU355. The letter, signed by 20 leaders including politicians, former civil servants and the G25 group of eminent Malays, was made available in four languages – English, Malay, Kadazandusun and Iban. Malaysia, they said, was founded together with Sabah and Sarawak as a secular federation, in which Islam as the “religion of the federation” only played a ceremonial role. “Lest we forget, religious freedom was stressed and assured in the merger negotiations of Malaysia. Hudud punishments were never placed on the agenda. “Had hudud punishments been on the cards, the Malaysia project would have likely been rejected by the peoples of Sabah and Sarawak,” they added. “For Malaysia’s sake and to preserve our country as a secular fe­­deration, we must say no to Bill 355,” they said. Black Magic and Beauty Contest. Shariah will be Applied to non-Muslims. No Thanks! PAS and UMNO politicians are quick to reprimand non-Muslims for refusing to support their proposal to amend Act 355, despite being given assurances that the Act will not affect non-Muslims. These politicians ignore the fact that non-Muslims have good reasons to be wary of enhanced shariah courts since their freedom has been violated many times by Shariah officials. See Shariah Law has no Consequences on Non-Muslims? HUMBUG (HAM-BAK)! Non-Muslims are eminently reasonable when they argue they should have a genuine say in drafting laws that impact their lives, and that it is the civil court rather than the shariah court that should be enhanced since only the civil court can provide a fair and natural platform to ensure equal protection under the law for citizens from diverse religions seeking to forge a common life in a plural society. Non-Muslims remain wary of Muslim legislators who have demonstrated that they are prepared to act unilaterally as they press ahead with Shariah-complaint laws with a view of imposing them on non-Muslims. Given below are two further examples of disturbing rhetoric from Muslim legislators who insist that Shariah law should be applied to non-Muslims. This rhetoric can only heighten the anxieties of non-Muslims. Henceforth, the new Hudud Bill or the “Syariah Courts (Criminal Jurisdiction) (Amendment) Bill 2016” that is tabled in Parliament should be called UMNO-PAS Hudud Bill. After all, without special assistance from UMNO, the Bill that was tabled by PAS (Hadi) would not get a chance to be debated in Parliament. If passed, the Bill will place the Federal Constitution on a slippery slide leading to a Shariah dominated Constitution. Malaysia will go the way of Pakistan where religious minorities (Christians) are often subject to false accusations and punishment under the Islamic Blasphemy Law. Nearer home, we should be alarmed at the prospect of non-Muslims being caned for ‘violating’ Islamic offences: Re: “Woman, 60, Caned for Selling Alcohol in Aceh” StraitsTimes (14 April 2016); See Also “For First Time in Indonesia, non-Muslim Caned under Islamic law” LosAngelesTimes (16 April 2016). In the face of this present danger, Non-Muslims (especially East Malaysians) must go beyond a adopting poster of resignation and quiet skepticism toward the hollow assurance from the Prime Minister. They must call upon their Members of Parliament and insist that their MPs vote against the UMNO-PAS Hudud Bill. Is Zakir Naik is too Stubborn to Understand Jesus’ Claim to be God? Zakir Naik has just challenged Christians to produce a verse in the bible where Jesus unequivocally claims to be God, and as such people should worship him. This would require a direct statement like “I am God” or “worship me” from the lips of Jesus. The challenge is either misguided or insincere. Author Kam WengPosted on April 15, 2016 July 27, 2017 Categories Apologetics, Christian-Islam Relations, Christology (Biblical), Interfaith Encounters, IslamTags Christianity-Islam FAQs1 Comment on Is Zakir Naik is too Stubborn to Understand Jesus’ Claim to be God? Zakir Naik gives the impression that he is a very learned man as he effortlessly quotes [selected] verses from the Bible. However, there is much less than meets the eye. Often times he quotes Scripture out of context in order to impose an alien teaching on the Bible, like claiming that the Bible teaches about the coming of Muhammad. I shall leave the easy task of refuting his ludicrous claims to other writers. The recent amendments to the Sedition Act effectively curtail freedom of speech as the prospect of being hauled up by the authorities for alleged sedition will discourage public debates on social-political issues. There is little assurance that the government will not abuse the wide ranging power given by the Act to suppress democratic dissent, given it pattern of selective enforcement of the law against opposition leaders, lawyers, journalists and civil rights activists. It should be noted that some Muslim extremists have found it convenient to accuse leaders of the non-Islamic communities of sedition, when these leaders are only defending religious liberty that is enshrined in the Constitution. The amendments to the Sedition Act will embolden these extremists to continue making unfounded and irresponsible accusations. It would be regrettable if the government uses the Sedition Act to restrict religious freedom, and apply censorship laws to control religious dialogue and debate, as it ends up depriving its citizens of the very tool that could help overcome ignorance and prejudice between religious communities. Indeed, it is the duty of the government to counter religious extremism by promoting open and honest interfaith dialogue.